We look at what the requirements are for boat trailer braking systems and the different types available. Deciding which boat trailer brakes to use comes down to how much mass you will be towing and what your budget is. There’s a very clear line for when a boat trailer (in addition to a regular trailer or caravan) is and is not required to have brakes. 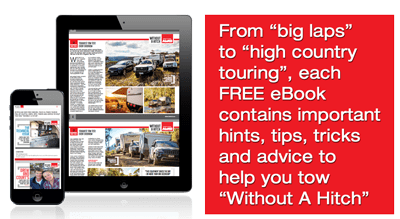 Under Australian law, any boat trailer with an aggregate trailer mass (ATM) [Towing by numbers: A marine guide to load capacity] up to 750kg is not required to have its own braking system. Any boat trailer with an ATM of 750kg and greater is required to have its own braking system fitted while ATMs over 2,000kg require electric/power-assisted braking and a breakaway system. Here are the various braking options for your boat trailer. The overrun or override coupling activates your boat trailer brakes as the towing vehicle slows. This inertia system requires no electrical hook-up and no direct input from the driver other than through the act of slowing the vehicle. It suits boat trailers under 2,000kg and works with mechanically actuated brakes, hydraulically actuated brakes and disc brakes. As the name suggests, these brakes are electrically activated. Independent power-assisted brakes are required, by law, on any boat trailer with an ATM over 2,000kg. An inertia-activated controller unit, mounted in the front of the car in view of the driver, activates the boat trailer brakes as the driver brakes the tow vehicle. The controller features a display that informs you of its status and allows you to dial-in the amount of braking force that the system should use. Meanwhile in the rear, the system employs magnets to actuate the drum’s brake lever arms to engage the brake shoes. Air brakes actuate your trailer’s brakes, turning air pressure energy into mechanical force. Air brakes are efficient and very reliable. As such, they are required by law on trailers with an ATM exceeding 4,500kg. Typically, air-actuated brakes rely on a compressor installed on the tow vehicle. AL-KO iQ7 is a variation on the air/hydraulic braking system and is used on hydraulic disc brakes. It is comprised of an in-car controller that is mounted in the front of the car in view of the driver and a compressed air actuator mounted on the boat trailer. Unlike regular electric brake controllers, the AL-KO iQ7 controller features a pressure-sensitive pad affixed to the brake pedal that offers you greater control over your boat trailer’s braking. This system is far more cost effective than traditional air-braking systems and one model can even be integrated with your existing inertia-activated electric brake controller. As a bonus, AL-KO iQ7 also features an in-built breakaway switch, which brings your boat trailer to a stop should it become unhitched in transit. Most systems require a separate breakaway switch and power source. The rules are straightforward: light boat trailers up to 750kg don’t need brakes. ATMs to 2,000kg can have override coupling-activated brakes, and any boat trailer over 2,000kg must have independent brakes – of which electric/power-assisted brakes are the most efficient. Further explore your boat trailer-braking options.